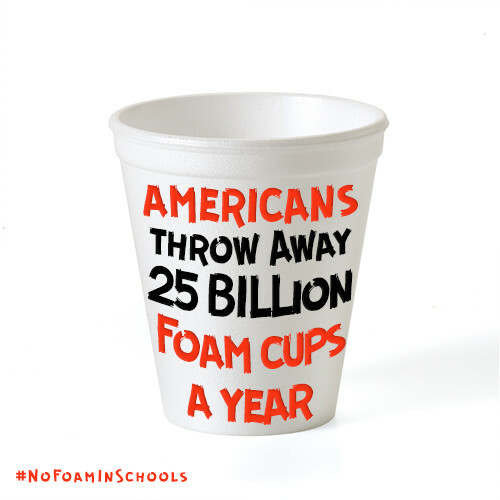 This year, there will be 255 million fewer styrofoam trays in American landfills. 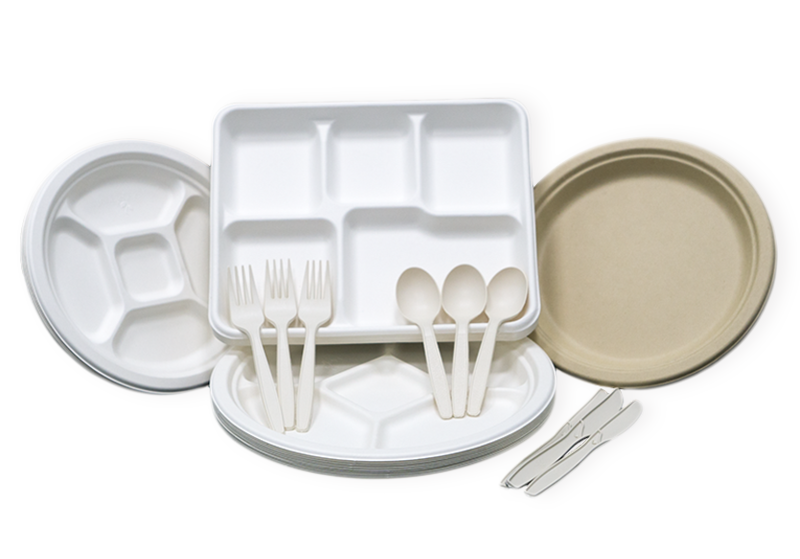 In 2015, six of the largest school districts in the United States switched from styrofoam lunch trays to compostable plates. 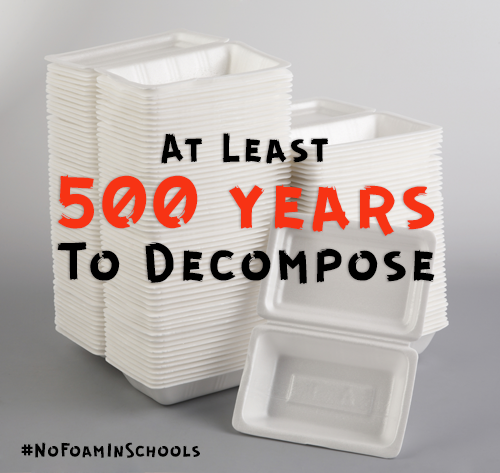 No Foam in Schools campaign is on a mission to educate students and parents on the benefits of compostable disposables. We need to get more school districts on board and the only way we can do it is with your help. 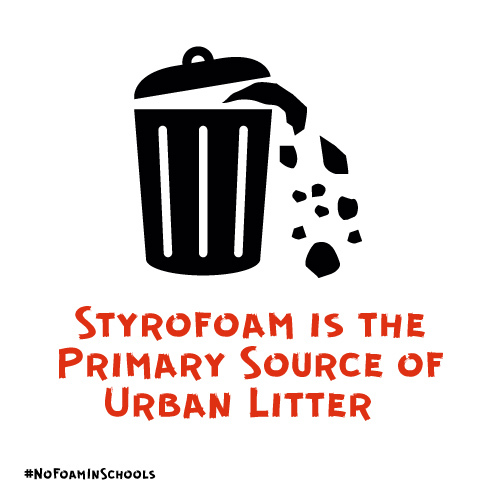 For years we've heard styrofoam is bad for our planet. Few people fully understand how foam impacts the environment. Learn about the damage this material has caused to our planet, so you can help make a difference. Spread the word through social media! 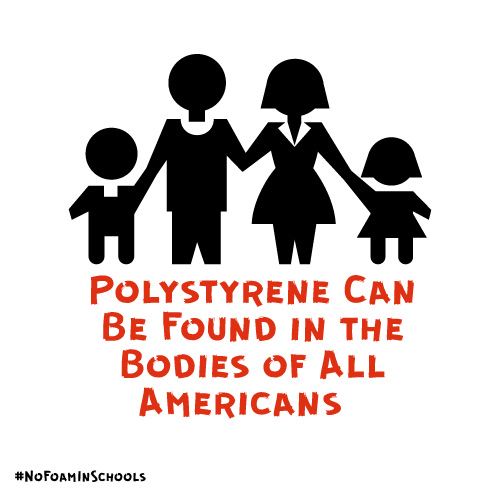 Use the hashtag #nofoaminschools.